This gold plated Trinity knot silver bead charm is a classic piece from the Tara's Diary Collection. 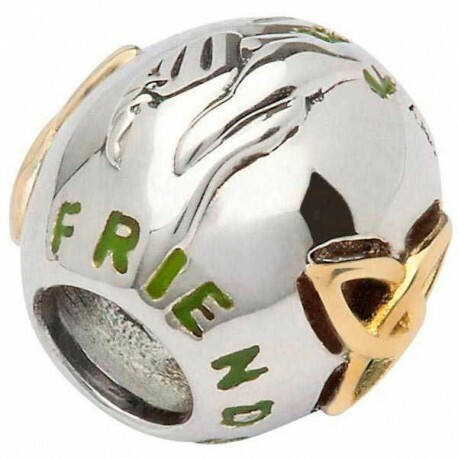 The three-part symbol is placed upon gorgeous, sterling silver alongside the word, 'FRIENDSHIP'. This gold plated Trinity knot silver bead charm is a classic piece from the Tara's Diary Collection. 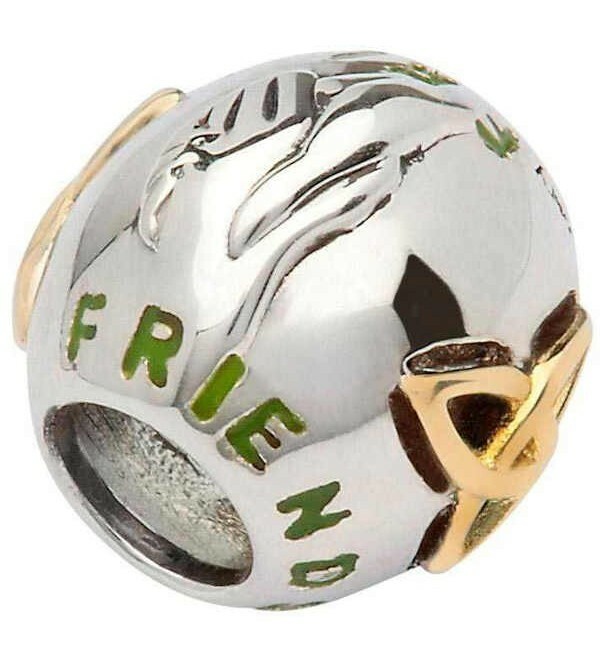 The three-part symbol is placed upon gorgeous, sterling silver alongside the word, 'FRIENDSHIP'. There is a crisp and clever coluor contrast between the silver of the actual bead and its gold plated design top. Celtic culture is famous for its dearly held iconic symbols. Arguably one of the most important is the trinity knot symbol, seen here. The never-ending loops of three are meant to represent the pure nature of the Christian Trinity. To show the equal importance of God the father, the son and the holy ghost, the three ovals are exactly the same size. This thoughtful design is what sets Shanore's jewelry apart from others.